The tart sour tasty candy art you can eat! Children create their own multi-colored tubes of powdered candy. 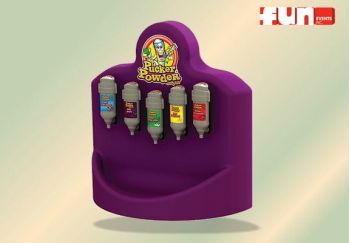 Comes in a variety of flavors with a handy dispenser unit available. Great school carnival, church festival, company picnic or other special event rental.